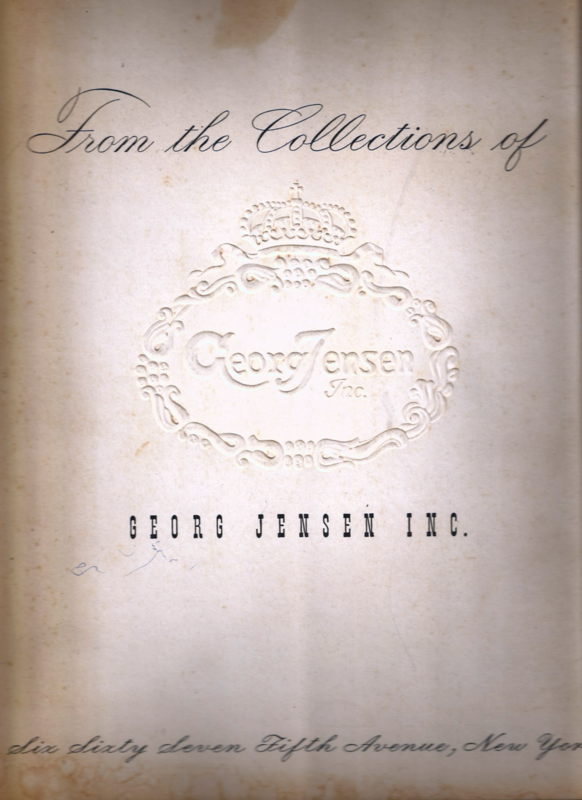 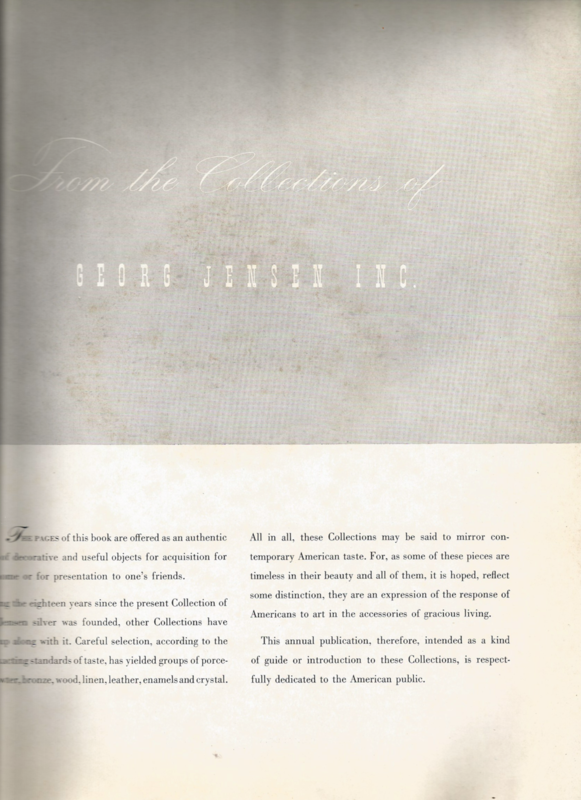 We were fortunate enough to receive an old catalog from the the original Georg Jensen shop in New York from when Frederik Lunning was still a prominent figure in the history of Scandinavian Design. 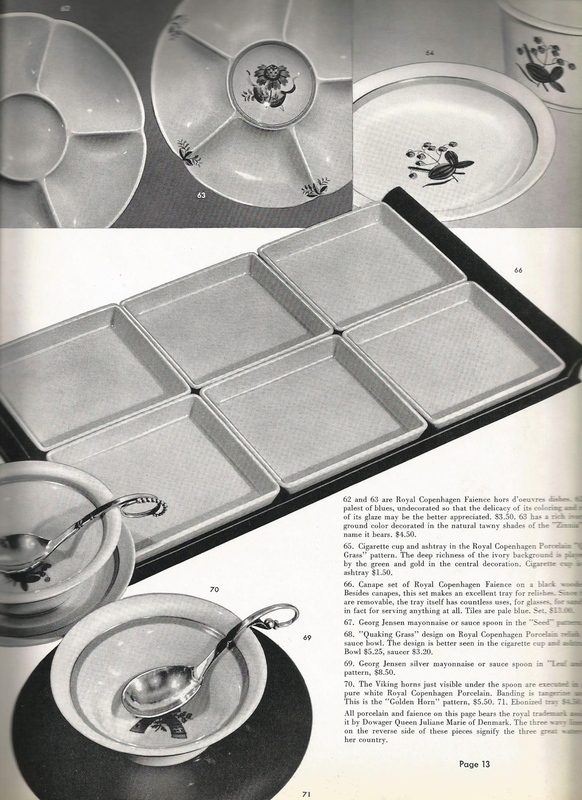 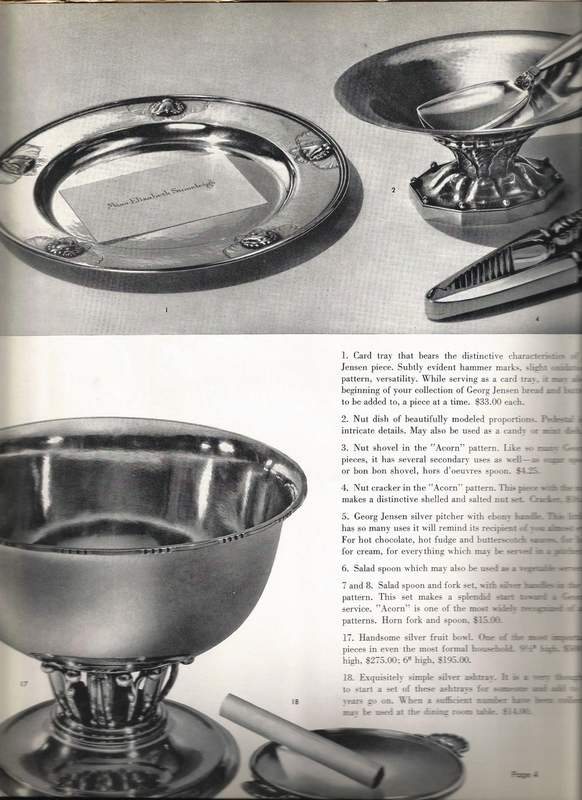 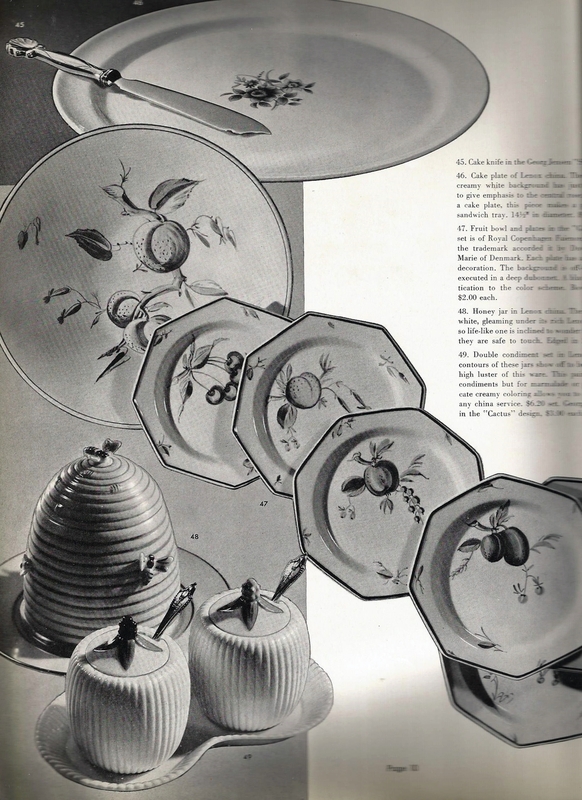 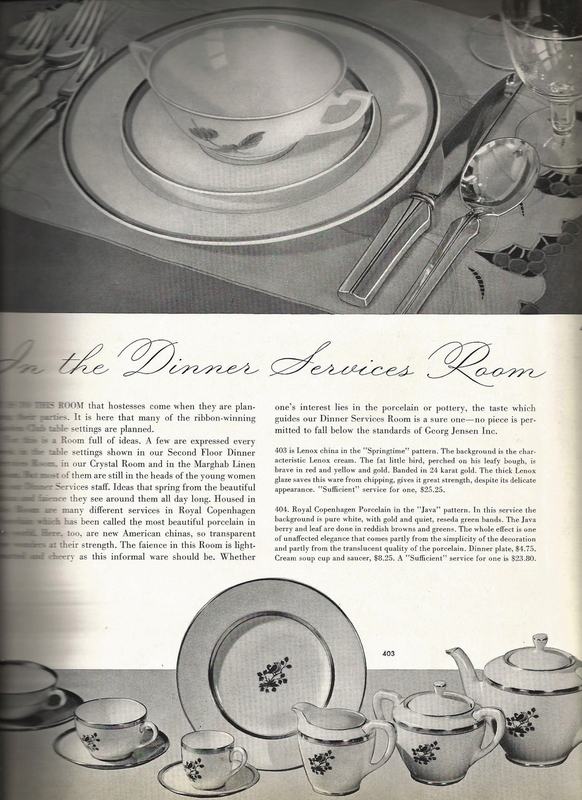 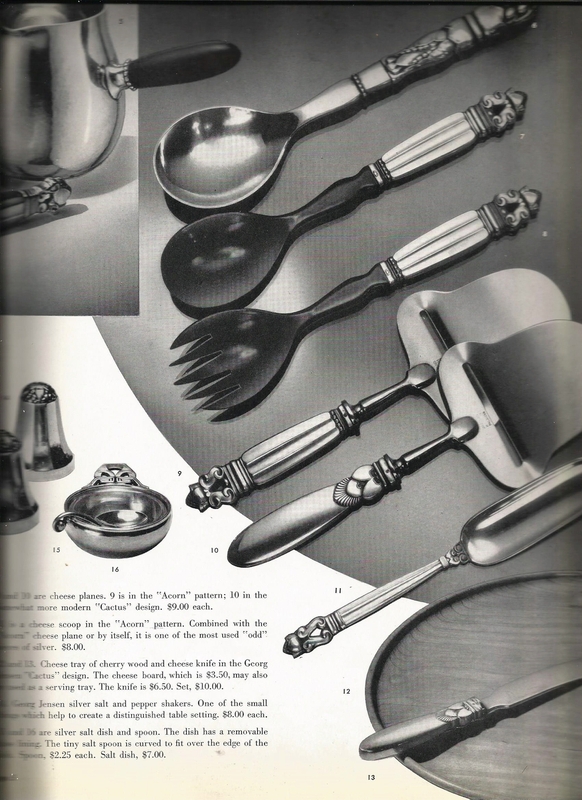 This wartime catalog is dated 1940, which marks a point when Lunning had began to expand the business into carrying numerous other pieces, as wartime efforts prevented the exportation of goods overseas, and silver was scarce. 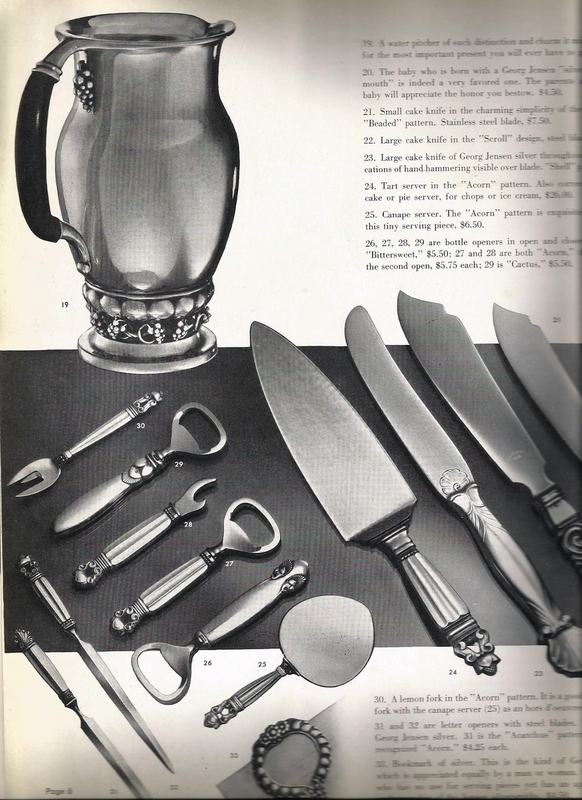 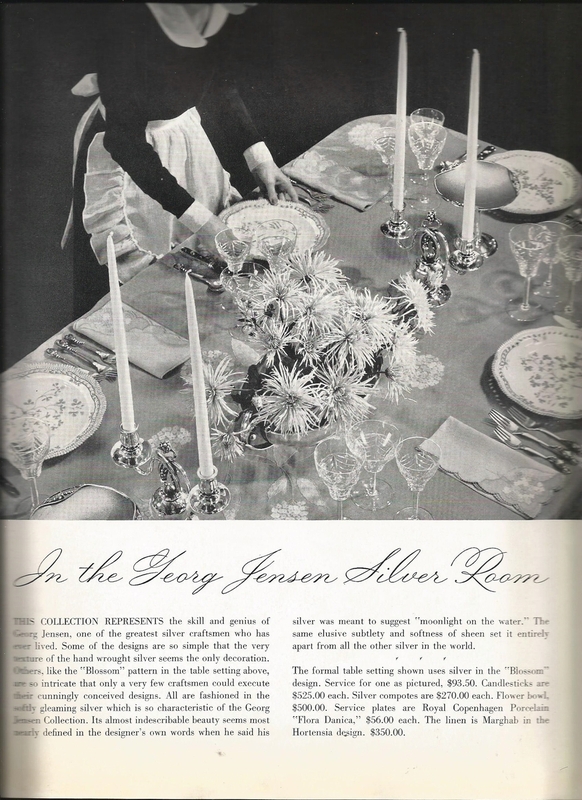 Nevertheless, the popularity of Georg Jensen wares were ever popular, and considered an exquisite example of the best silver goods available.